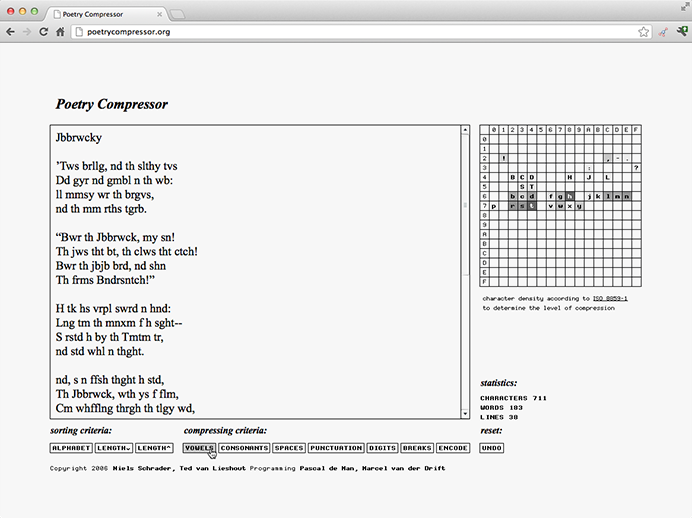 Poetry Compressor is an internet tool in progress developed for the research project Digital Poetry that was initiated in early 2006 by the Fonds voor de Letteren (Dutch Foundation for Literature) and Waag Society Amsterdam. 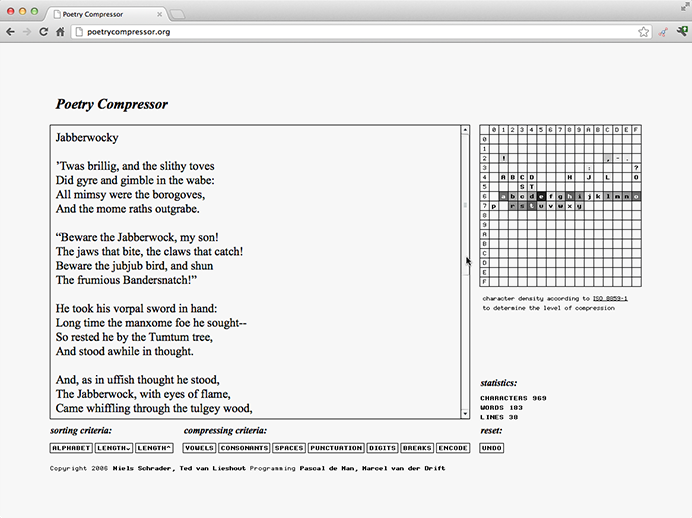 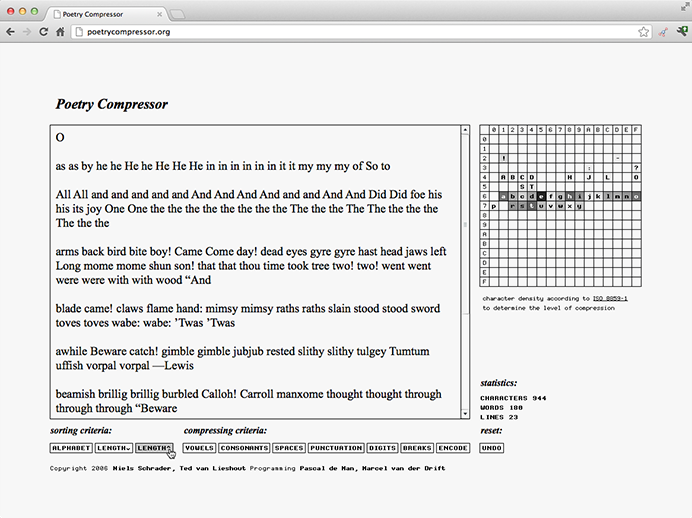 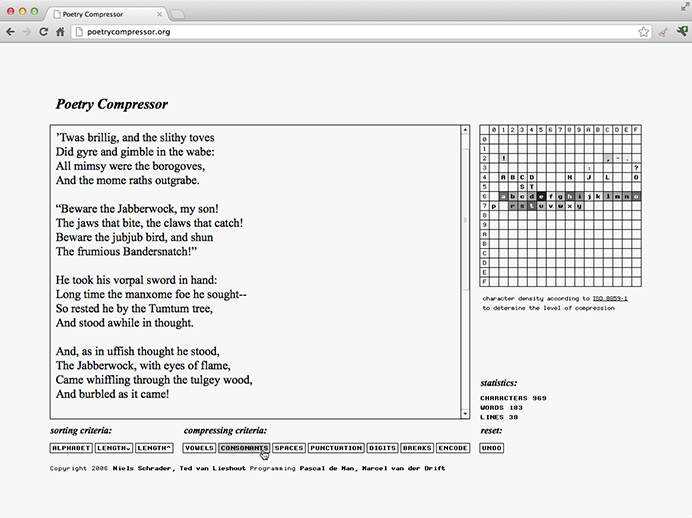 www.poetrycompressor.org has been created to analyse pieces of text and systematically re-arrange characters and text elements. 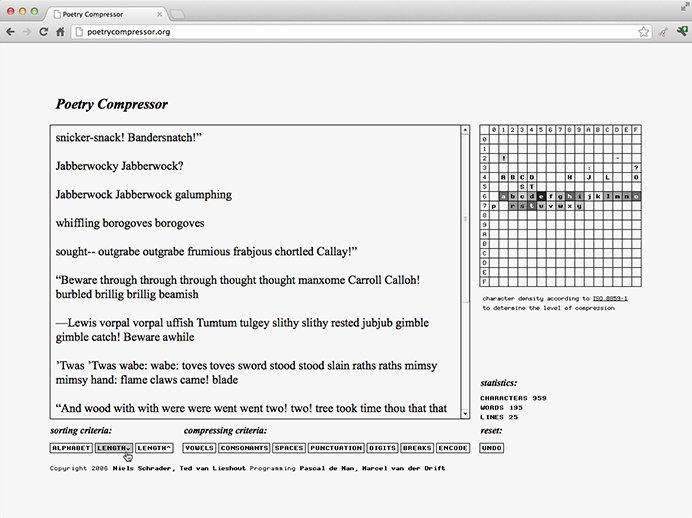 The application’s processing is based on the so-called run-length encoding, in which runs of data are compressed by first clustering similar patterns and secondly replacing long strings of identical information units with shorter ones. 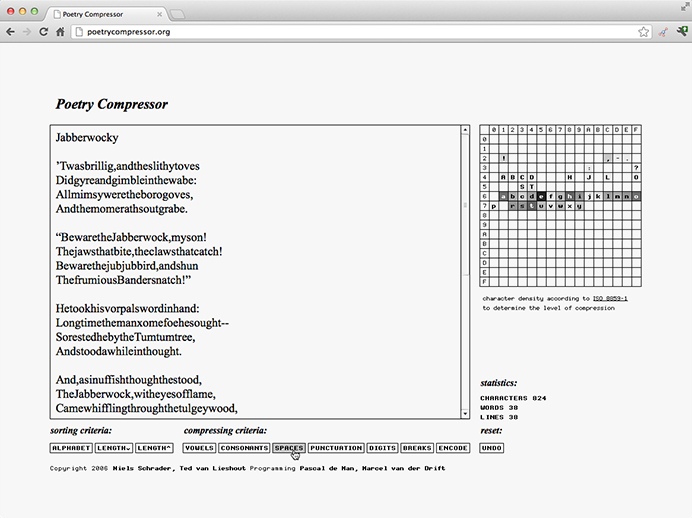 A responding diagram was added to the site in order to picture the amount of characters used in the text and by this visualise the applied level of compression: the less black used in the table, the higher the compression. 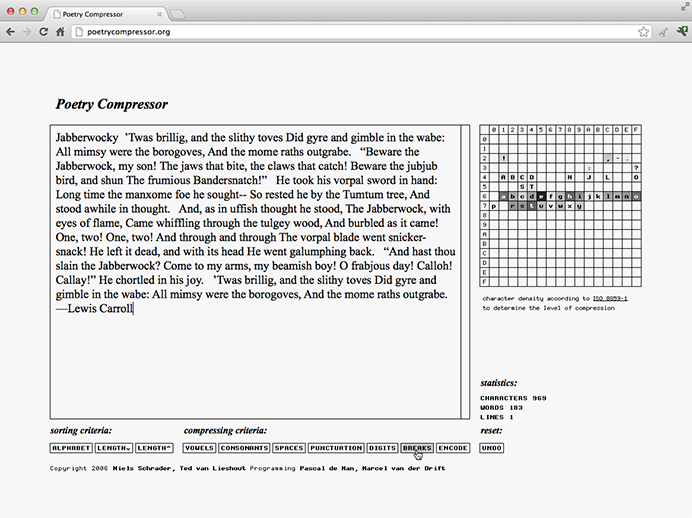 Regarding its formal style and its operational logic, texts that result from Poetry Compressor relate to the typographic experiments by the pioneers of Concrete Poetry, including Kurt Schwitters, Ernst Jandl and E. E. Cummings. 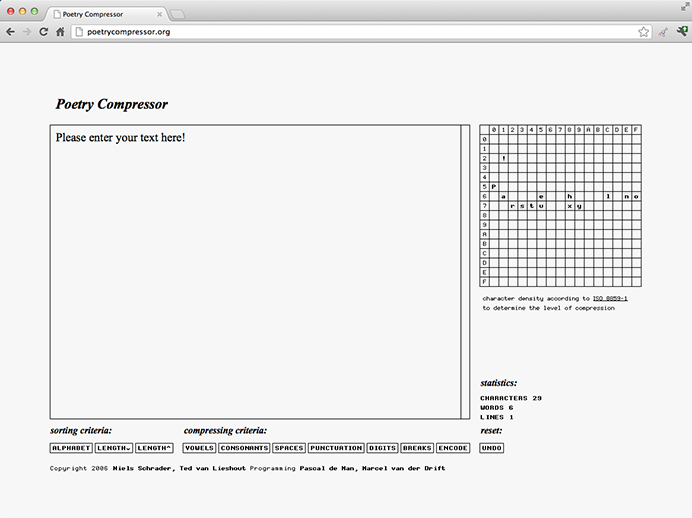 Play here with the tool. 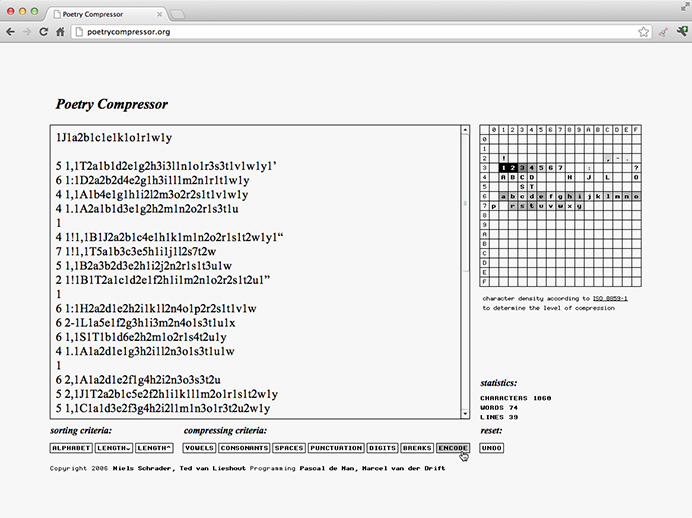 Watch a short documentary of the presentation at Theatrum Anatomicum in Amsterdam.